Xanthoceraside, a novel triterpenoid saponin, has been found to attenuate learning and memory impairments in AD animal models. However, whether xanthoceraside has a positive effect on synaptic morphology remains unclear. Herein, we evaluated the effects of xanthoceraside on learning and memory impairments and the abnormalities of synaptic structure in APP/PS1 transgenic mice. The behavioral experiments demonstrated that xanthoceraside attenuated the imaginal memory and spatial learning impairments, and improved social interaction. Transmission electron microscopy and Golgi staining showed that xanthoceraside ameliorated synapse morphology abnormalities and dendritic spine density deficits, respectively. 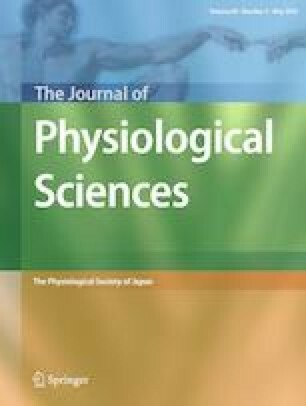 Western-blot analysis identified that xanthoceraside increased the expression of SYP and PSD95, activated BDNF/TrkB/MAPK/ERK and PI3K/Akt signaling pathways, meanwhile decreased the expression of RhoA, ROCK and Snk, increased the levels of SPAR, and activated the BDNF/TrkB/cofilin signaling pathway. Taken together, our study indicated that xanthoceraside improved cognitive function and protected both synaptic morphology and dendritic spine in APP/PS1 transgenic mice, which might be related in part to its activation in the BDNF/TrkB pathway. Ge Jin and Lin Zhu contributed equally to this study and should be regarded as co-first authors. G. Jin and L. Zhu conceived the experiments and contributed to research data; P. Liu, Q. Xu and Y.Q. contributed technical assistance; X. Zou and J. Xu participated in raising animals; and X. Ji and T. Chi revised the manuscript. L. Zou revised the manuscript and supervised the analyses. This work was supported by the Research Fund for National Natural Science Foundation (No. 81373992) of China, the Career Development Program for Young Teachers in Shenyang Pharmaceutical University (No. ZQN2015028) and the Doctoral Scientific Research Foundation of Liaoning Province (No. 51120424). Animal studies were performed in accordance with the P.R. China legislation on the use and the care of laboratory animals and with the guidelines established by the Institute for Experimental Animals at Shenyang Pharmaceutical University. The protocols were approved by the Committee on the Ethics of Animal Experiments of the Shenyang Pharmaceutical University (SYPU-IACUC-S20140317-04).